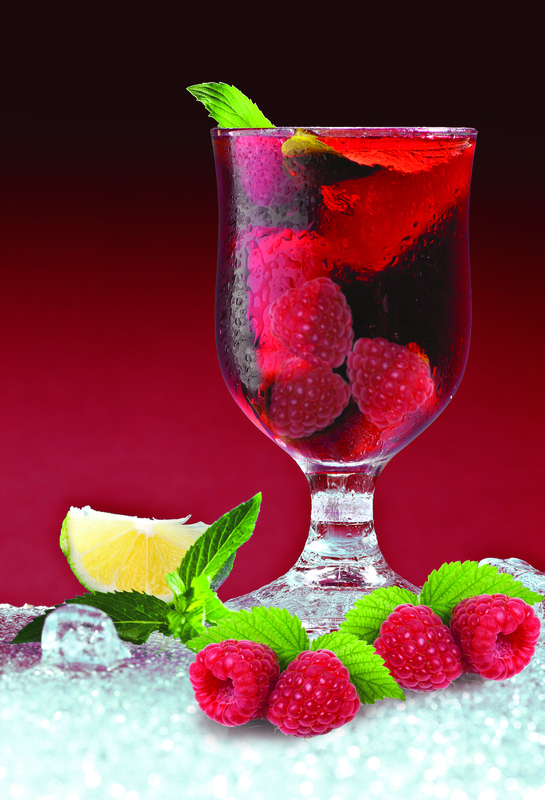 Treat yourself to a “berry” special drink to cool off in this summer heat. 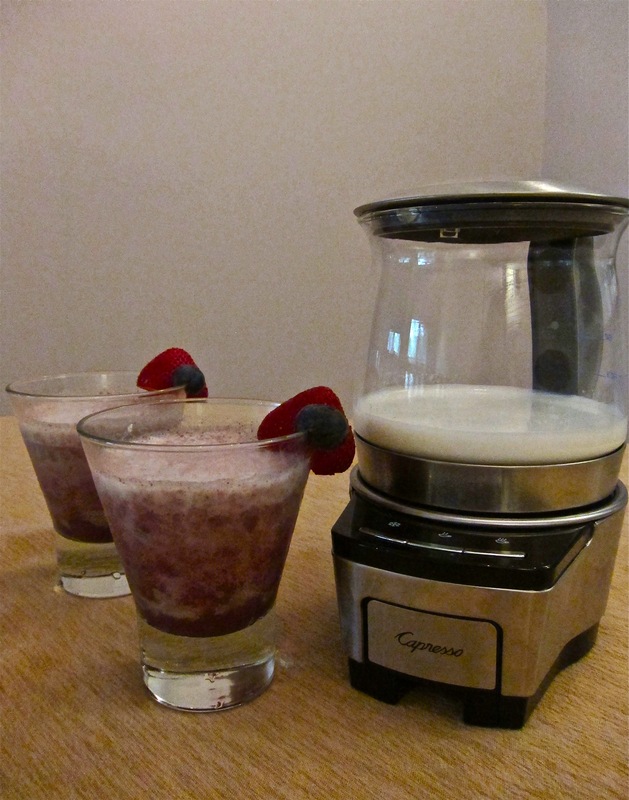 The Berry Vanilla Froth is a mouth-watering recipe that is sure to satisfy your taste buds. Place the frothing disk in your Capresso froth TEC and ensure it is securely snapped inside the bottom of the milk pitcher. Add milk and vanilla syrup to frothing pitcher, and press the Cold button. Wait for frother to automatically shut off. Place shaved ice into a glass and fill halfway with blueberry juice. Pour frothed milk on top and stir. Garnish with strawberries, blueberries, or both and enjoy. Sweeten for personal preference. *We used Odwalla Blueberry B Flavored 6 Juice Smoothie Blend to make our Berry Vanilla Froth but any blueberry-based fruit juice will work.